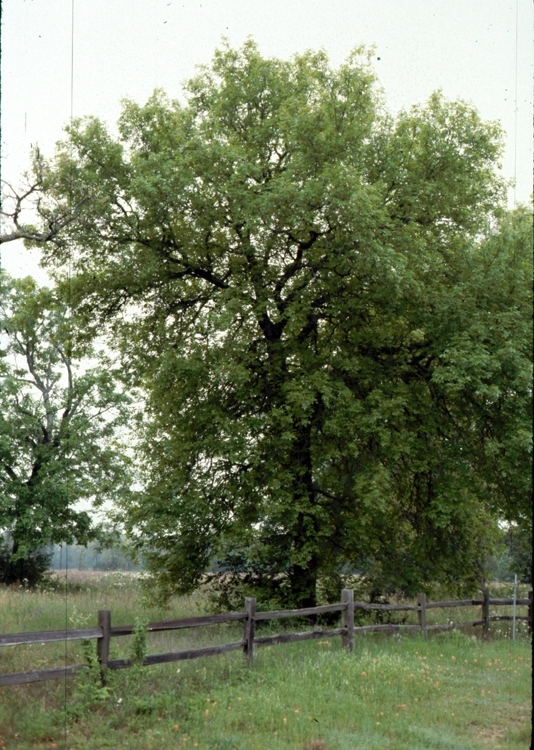 Black hickory is found west of the Mississippi River from Missouri south to central Texas. Isolated populations occur in Illinois and southern Indiana (distribution map). 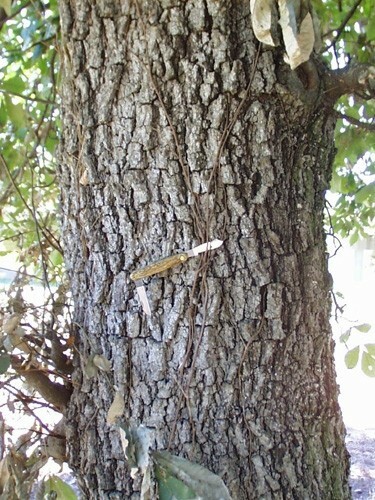 The tree is found on dry, shallow, upland sites in Texas, Arkansas and Louisians, in association with Post Oak, Black&SHY;jack Oak and other Quercus sp. 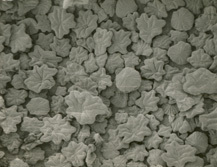 C. texana is identified by the rust colored, wavy-margined scales which cover the buds, husks, and lower leaf surfaces. 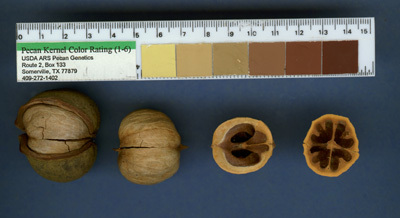 Nuts are usually globose, brown, and thick shelled. Husks are thinner than in C. tomentosa, usually being less than 5 mm. 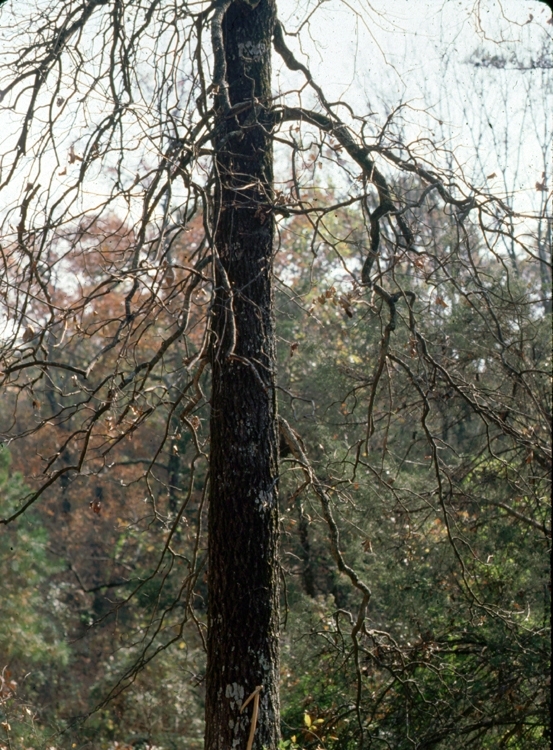 Black hickory has tight, diamond checkered bark which is usually dark grey to black, giving the tree its common name. Branches are often short and twisted, descending in the lower canopy but ascending in the upper canopy. One cultivar of C. texana has been named: 'Aber', originating in Cherokee Co., Texas. 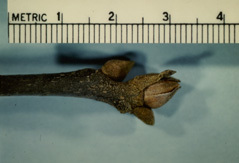 The cultivar was originally named as C. ovalis, but the pictures of the nut and twigs (Reed 1946), coupled with known distributions of the two taxa, leave little doubt as to the identity of the cultivar. 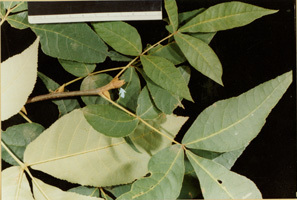 The tetraploid black hickory has been reported to hybridize with the tetraploid mockernut to form C. X collina Laughlin and with the diploid water hickory to form C. X ludoviciana (Ashe) Little.